Pallet and trade volume rates maybe available on request.Please note: 10 Litres can be delivered as 2x 5L tin. 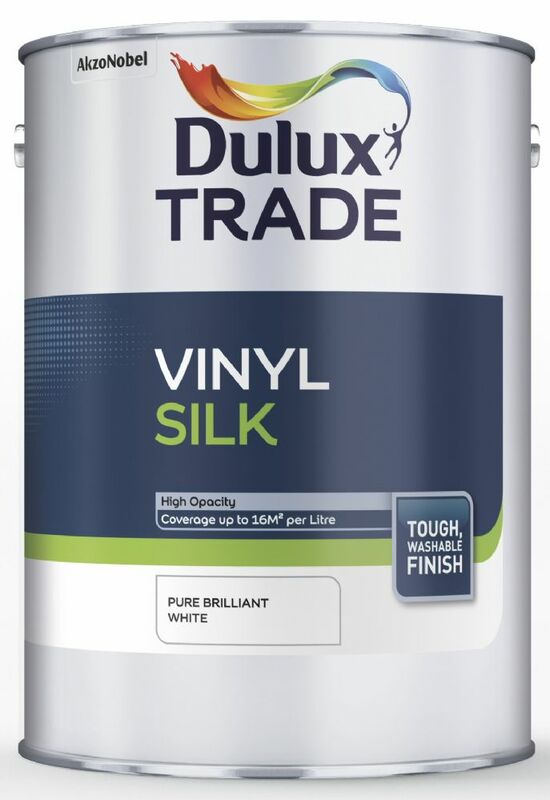 Dulux Trade Vinyl Silk. A top quality, durable mid-sheen vinyl emulsion with excellent coverage and opacity. Up to 16m² per litre on most surfaces. Tough, washable finish. Enter vinyl silk into the "Search Box" to view our full range.